This item has been downloaded 1087 times. This is based on a real design, created for Southwest to promote Sports Illustrated`s Swimsuit 2009 magazine and swimsuit model Bar Refaeli. 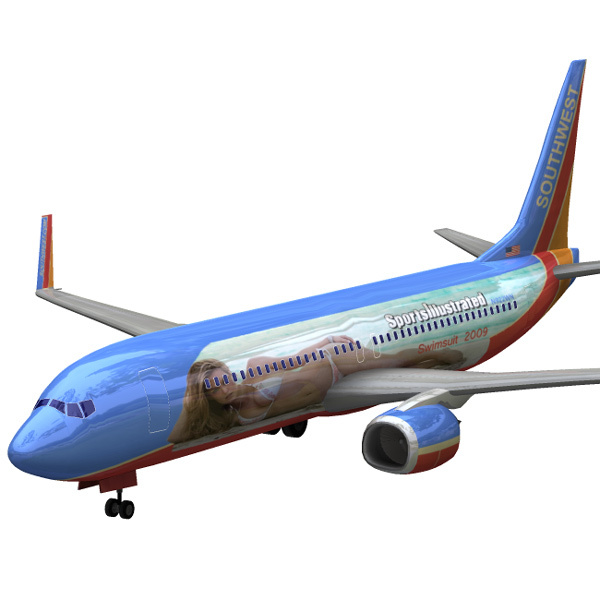 The 737 with with this paint scheme was flown on Southwest`s flights to and from Las Vegas. Additional links about this paint scheme can be found in the readme file.